these puppies are all with their forever family! ISABELLE PLUM VON NOBLE OR IZZY AS WE CALL HER IS ONE OF OUR VERY OWN NOBLE K-9 PUPS. SHE IS THE DAUGHTER OF SHASHA DELLA VON MACY AND STOLTZ ULRICK VON BROWN. IZZY IS A VERY LOVING AND LOYAL FEMALE WHO IS VERY ALERT TO HER SURROUNDINGS. SHE IS PROTICTIVE, INTIMIDATING AND ALPHA FEMALE, IZZY IS A VERY ACTIVE GIRL AND A BEAUTY TO WATCH RUNNING ABOUT. SHE IS FEARLESS! JAGER MAXIMUS VON FERGUSON IS THE SON OF CHEERO HEXER ONE OF THE TOP 10 STUD DOGS IN THE CZECH REPUBLIC. HIS MOTHER IS AXA L LACNOVSKYCH RYBNIKU SHE IS A CZECH IMPORT. 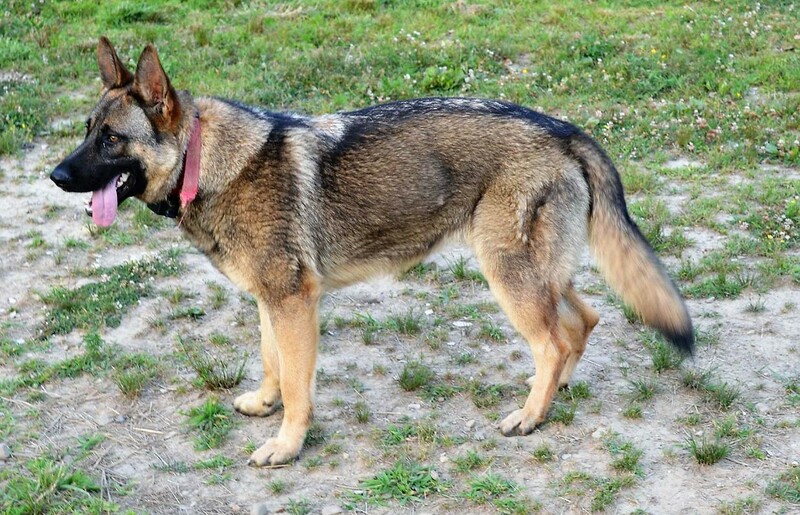 JAGER IS A BEAUTIFUL GERMAN SHEPHERD. HE IS FEARLESS, LOYAL AND LOVING. I found my forever family!